Divyatattva Vedic Astrology Career Horoscope Consultations, Job astro consultation Online by Indian Astrologist Shri Rohit Anand, New Delhi, India. I am unemployed. When will i get the job? Which career or profession is suitable for me? What professional line is good for me? whether Service, Self employment or Busines. Will i get call for employment in the company? Are there any chances of rise, promotion or success in your work. Will i get food increment in my job this year? Do i have chances of getting good job abroad? Is my boss or seniors happy with my work. Are these people or colleagues in the company working against me and my interest? 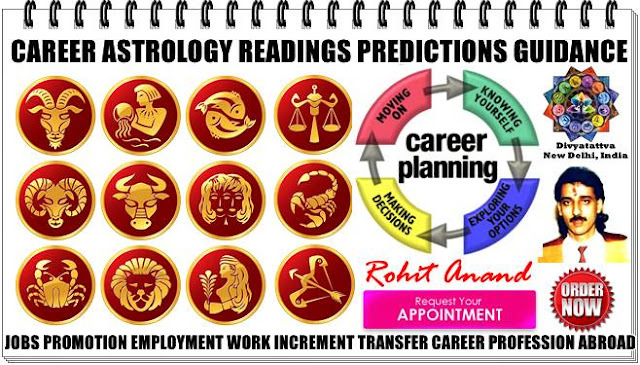 This accurate Career report will be prepared manually by our professional and experienced astrologer Shri Rohit Anand Ji using the Vedic astrology calculations. 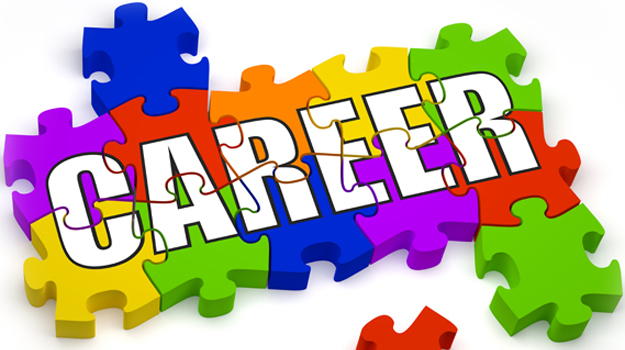 The Career report prepared for you will consist of analysis of the relevant divisional charts, yearly horoscope chart and the analysis and timing of the events by using Mudda dasa, Yogini dasha and Vimshottari Dasha System. Consultation Fees : INR Rs. 1550/-. USD $ 38. Ask One Question. You can make payments through Paypal, Bank Transfer, Cash Deposit and Check. To get this career horoscope report you need to send us your correct birth details which you should include : Your full name, date of birth, accurate time of birth, city of birth, state and country you are born in, your current location, gender, profession and email address. In this module you can ask one question with regard to your career as that will be answered with the report based upon this question. Besides our astro career consultant will also guide with regard to Career Obstacles and Problems that you might have to face.Solutions and remedies for success in your work/job/career. You can send your details at the email address below. After you have deposited the consultation fees your report will be sent you your email address. Note: All of your consultations will be kept strictly confidential and will not be shared with anyone. . Incomplete forms will not receive any response from us.